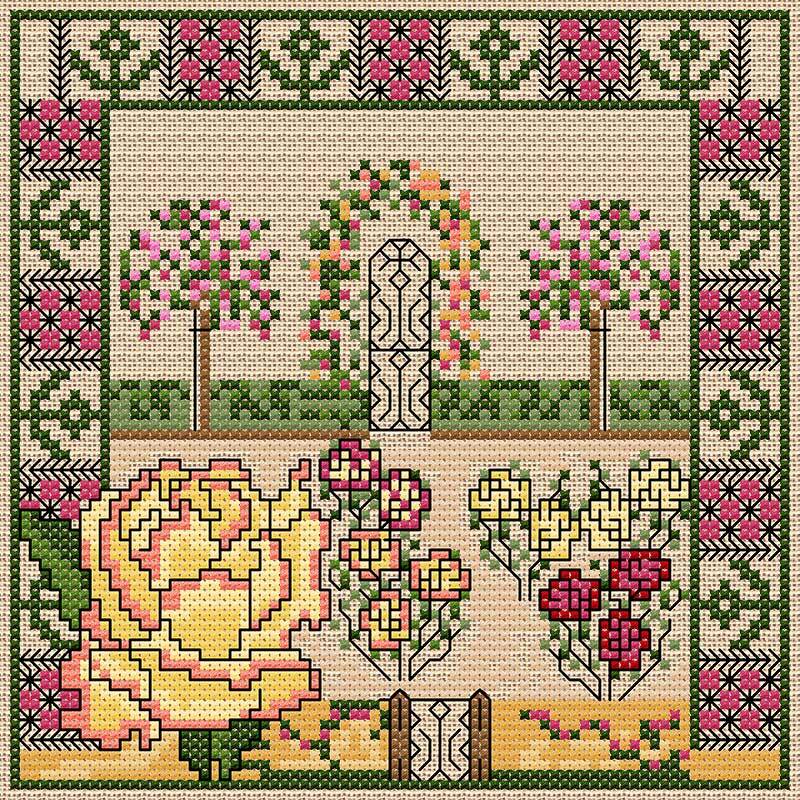 Part of a series of pretty counted garden tiles, the design is worked in cross stitch, backstitch, double cross stitch and fly stitch. There are full instructions with all my downloadable charts which include these stitches. The design contains a few fractional stitches so you may prefer to work this on linen rather than Aida.